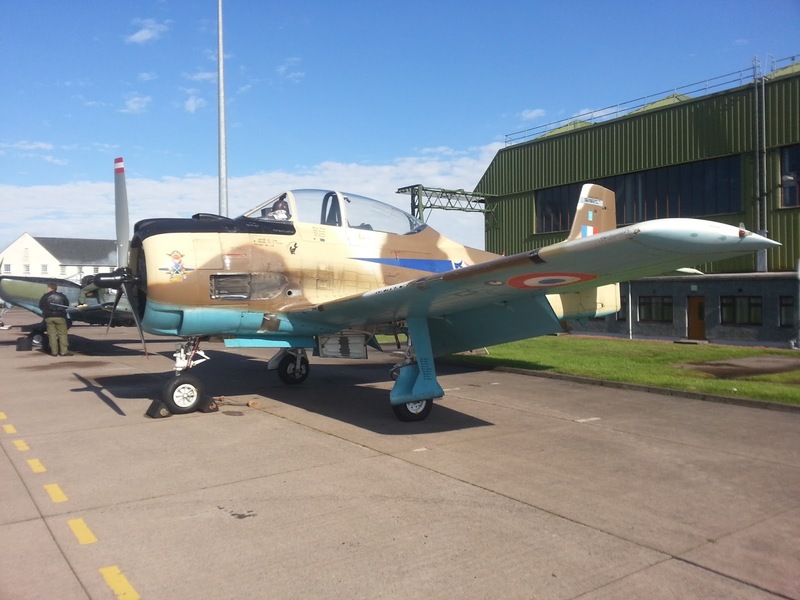 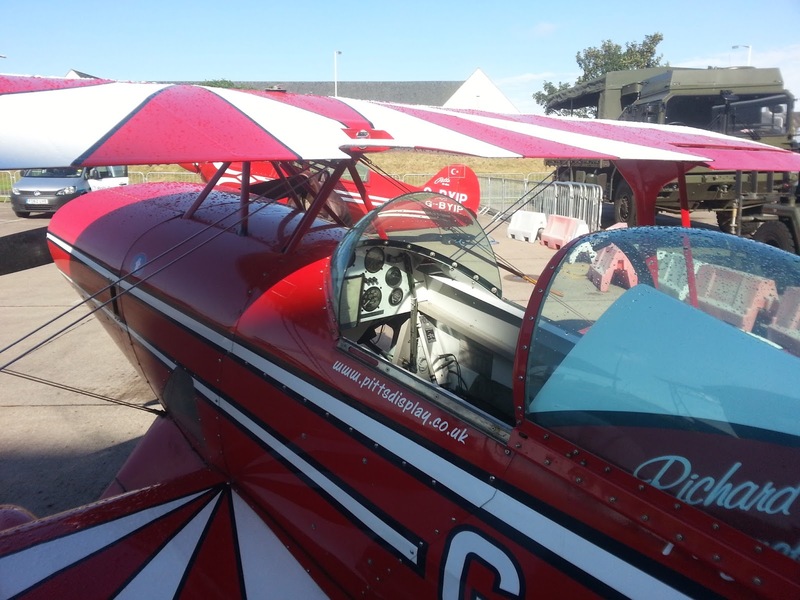 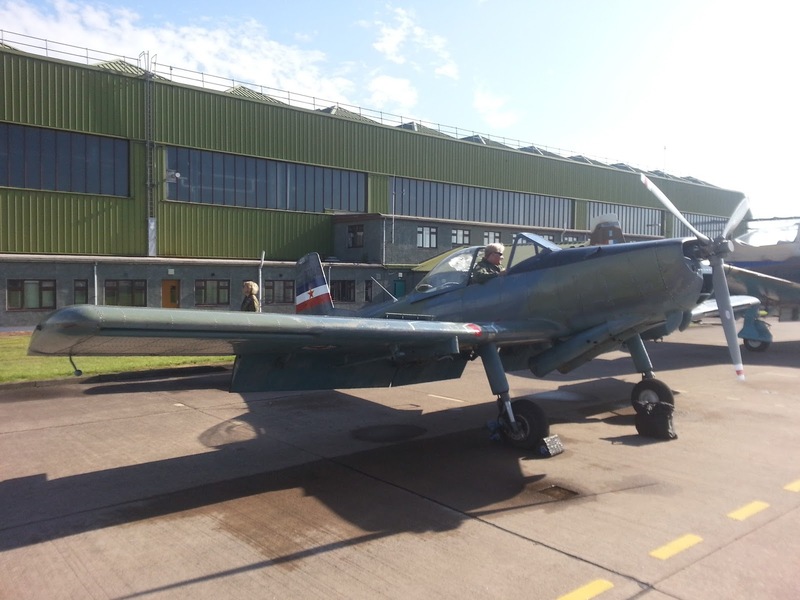 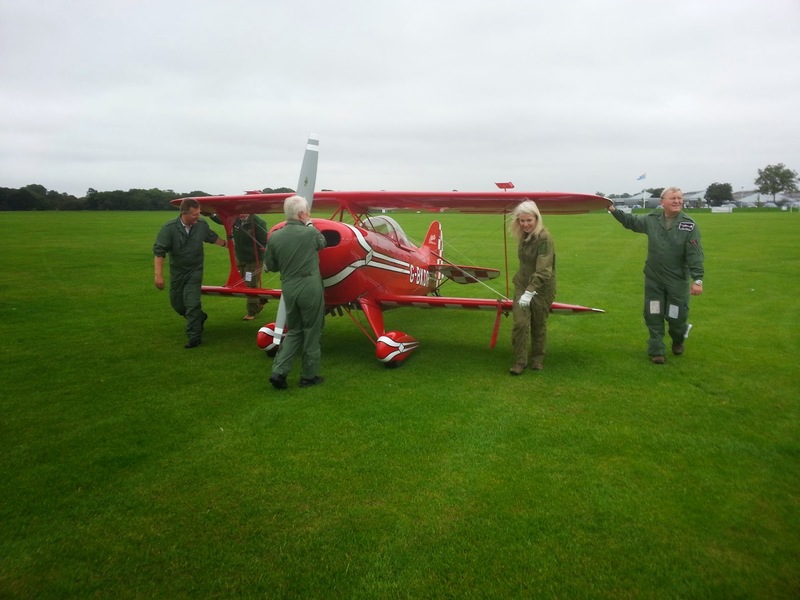 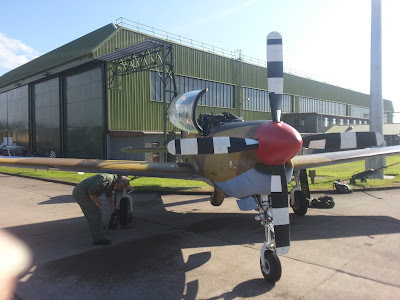 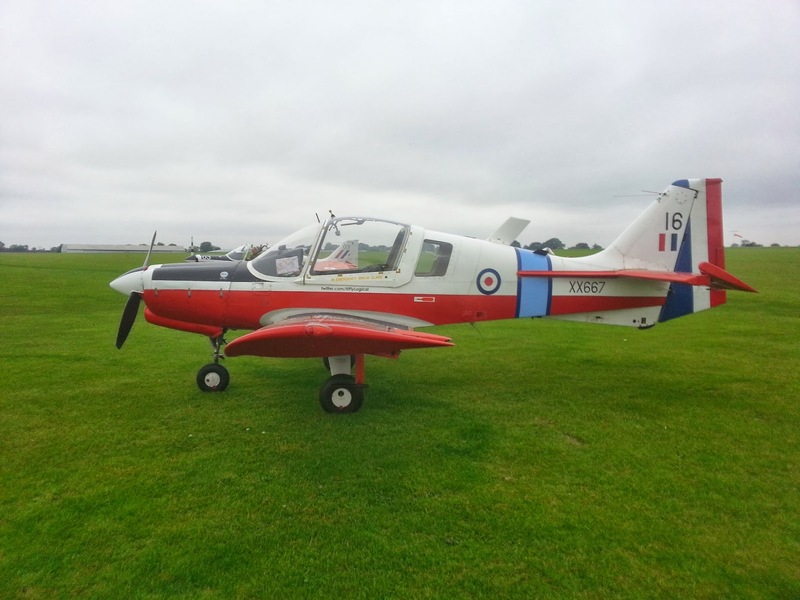 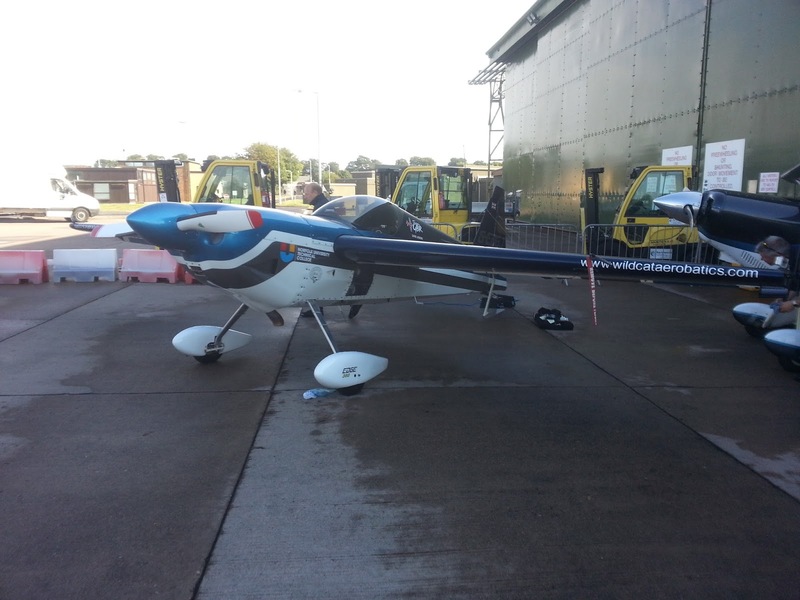 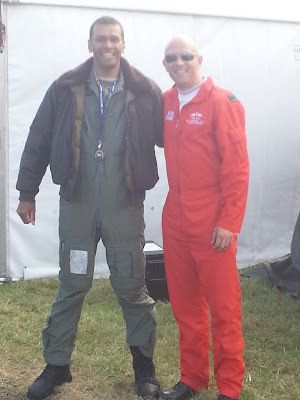 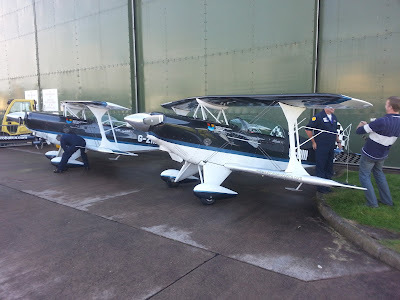 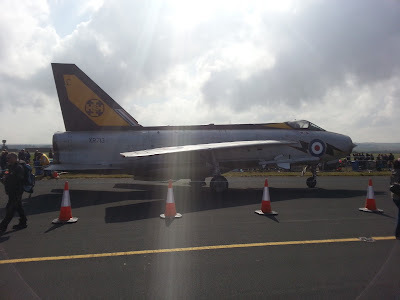 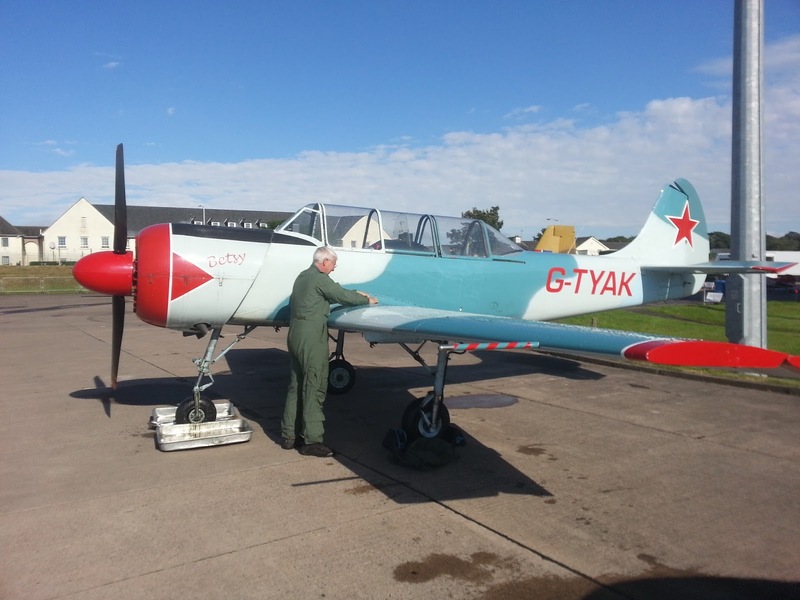 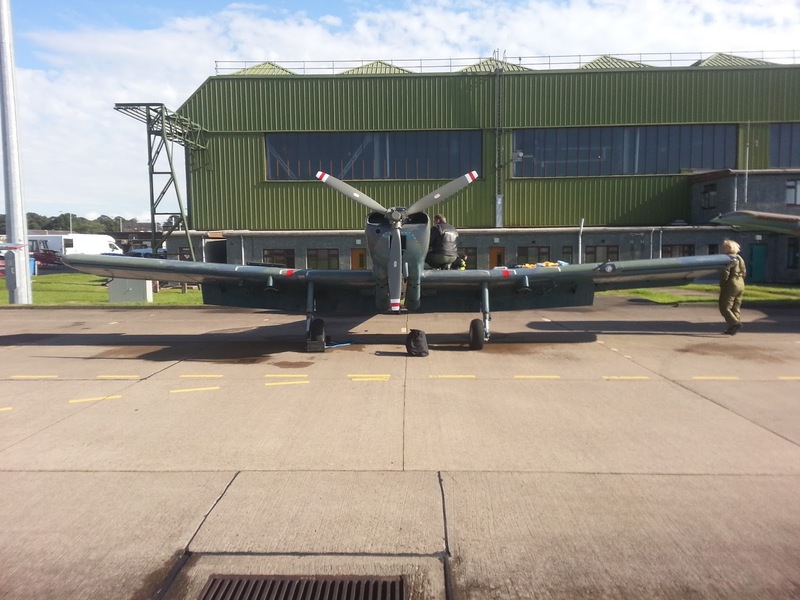 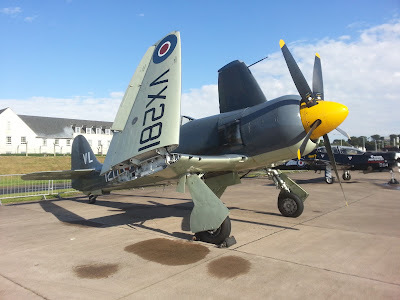 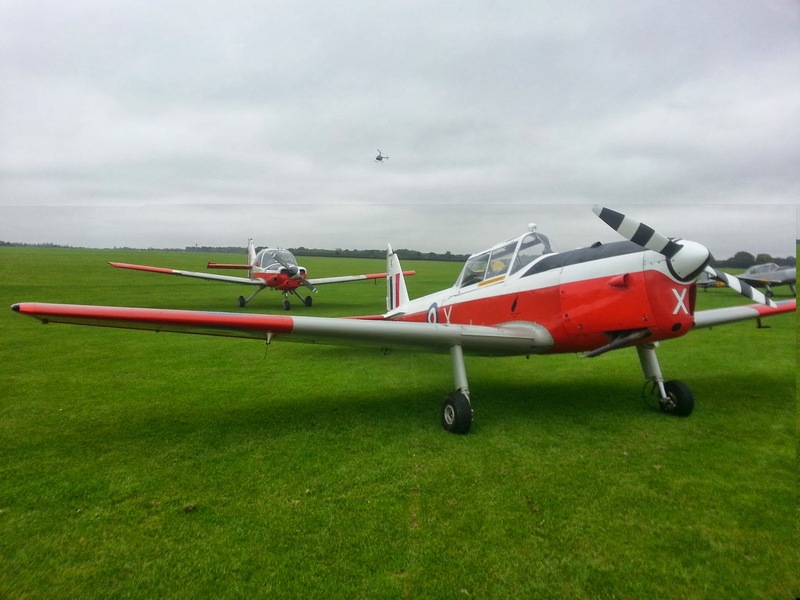 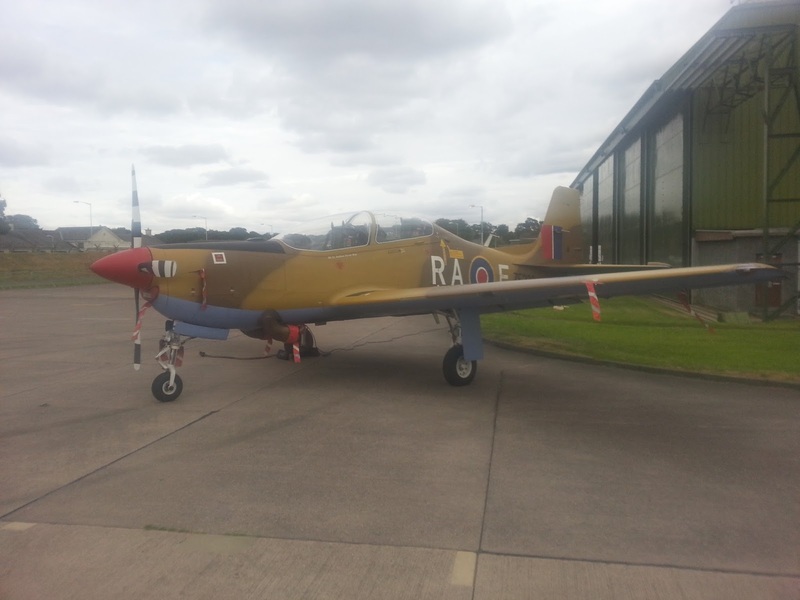 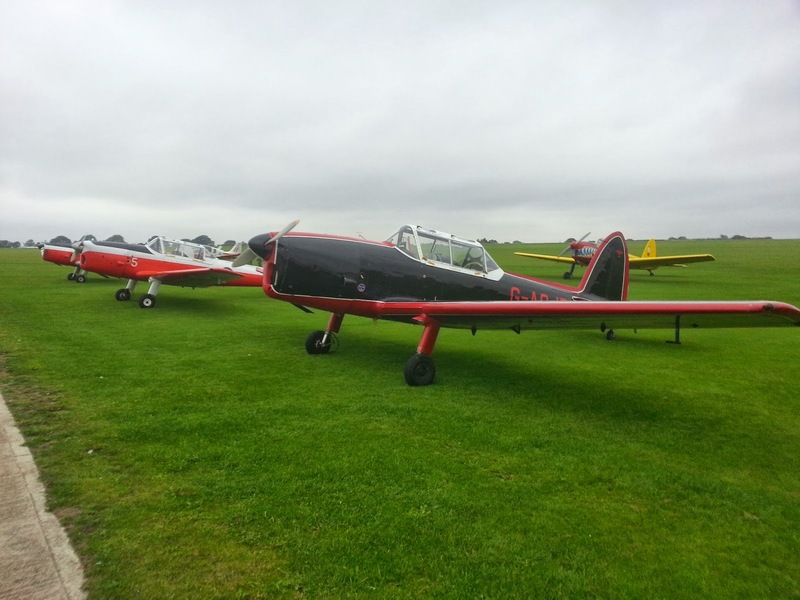 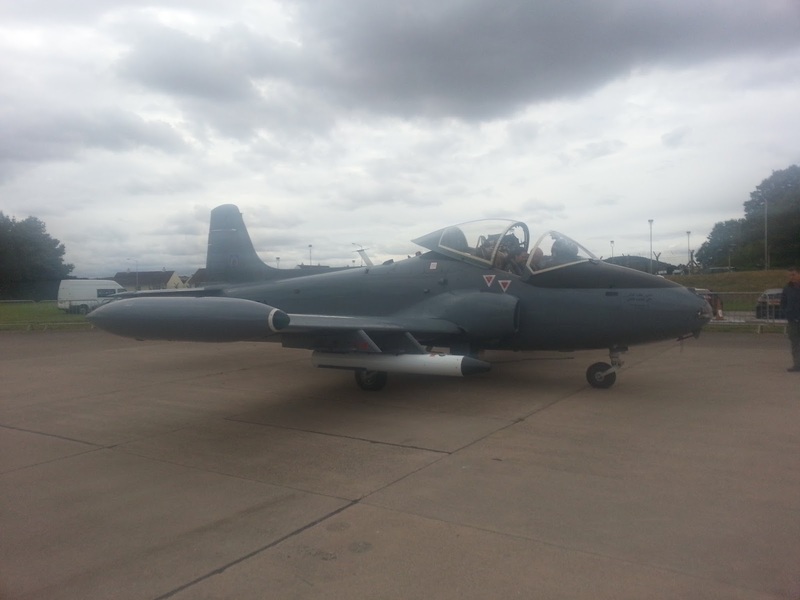 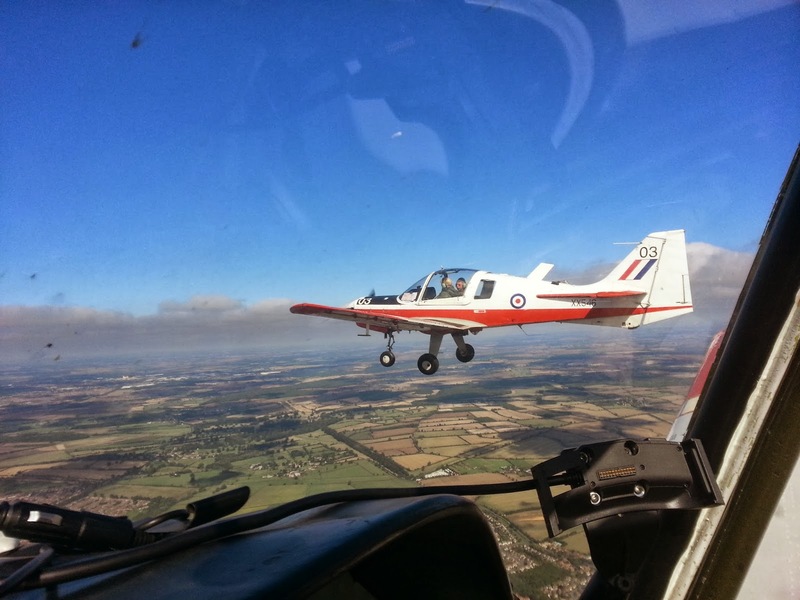 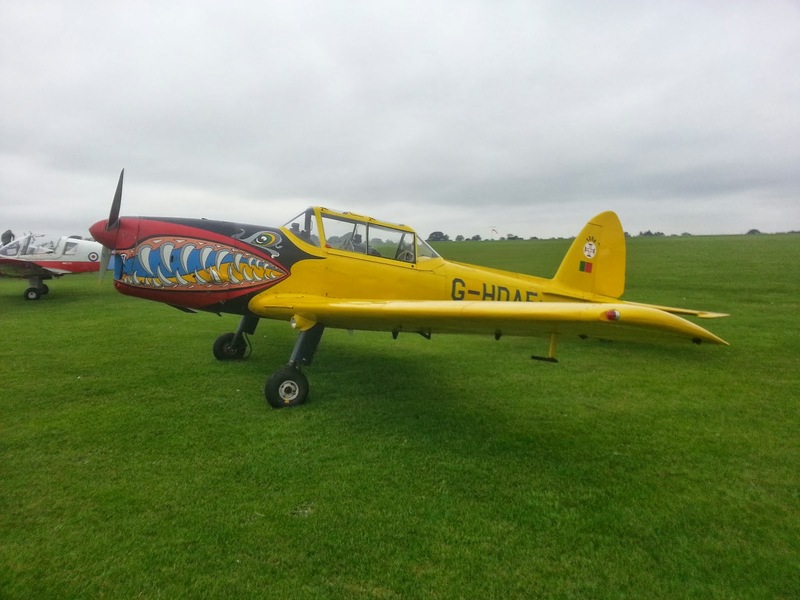 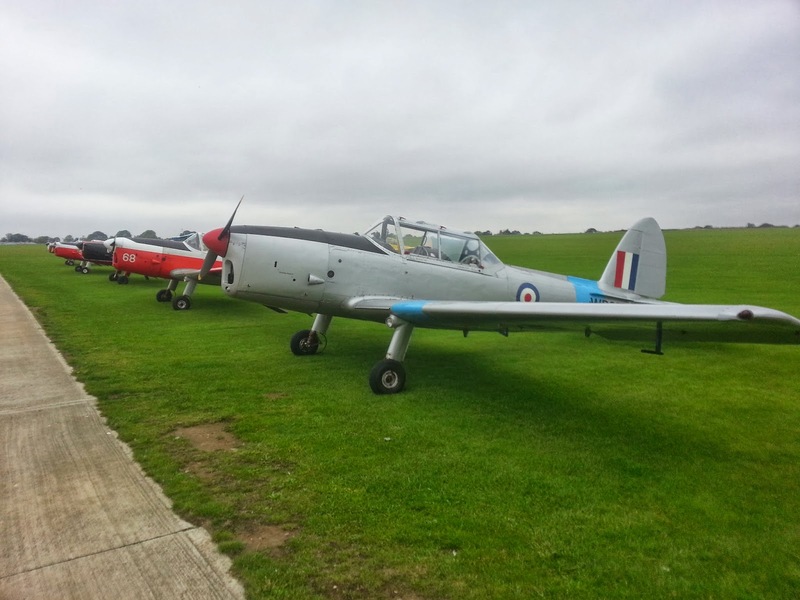 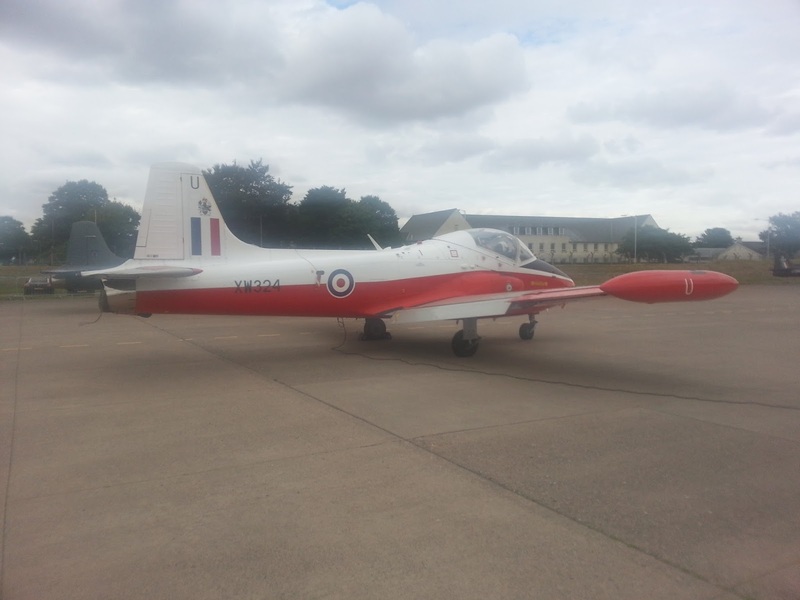 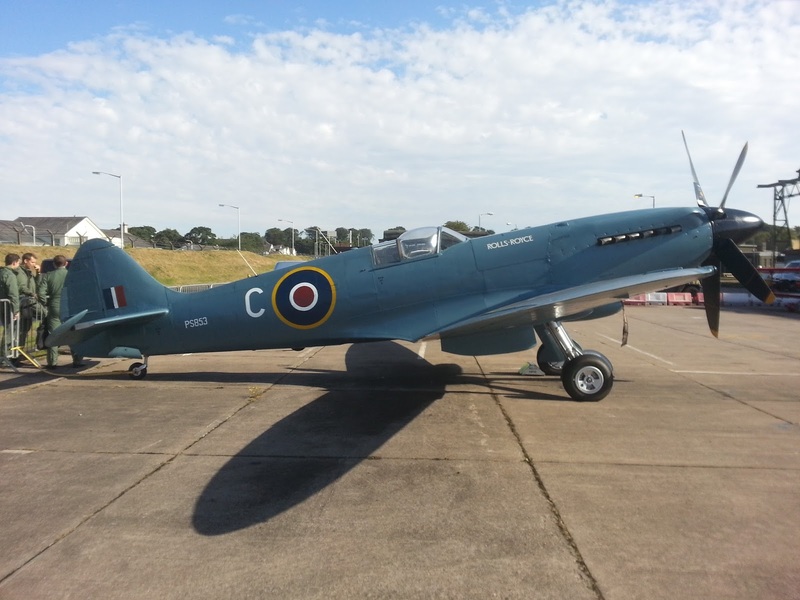 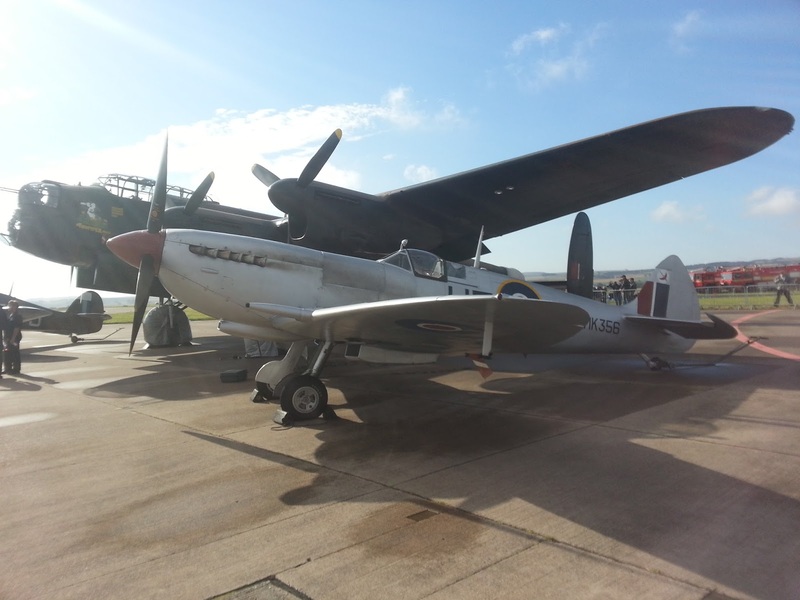 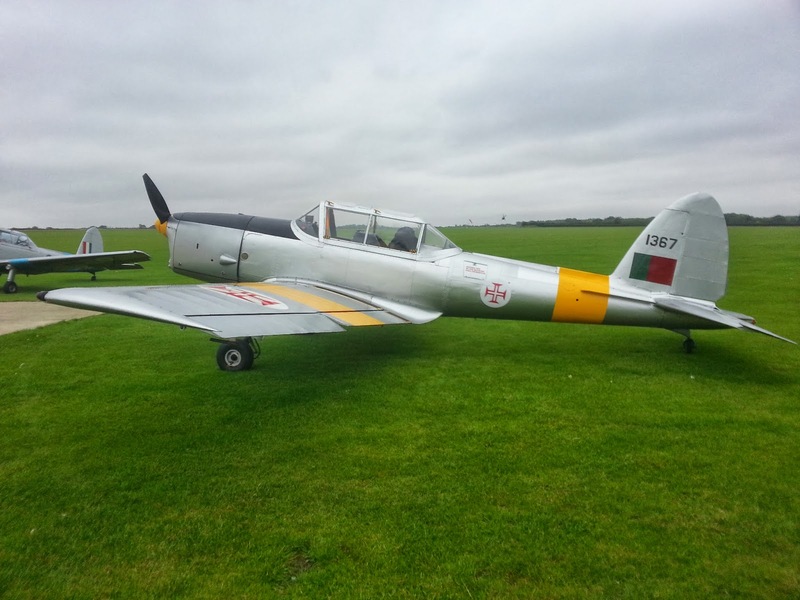 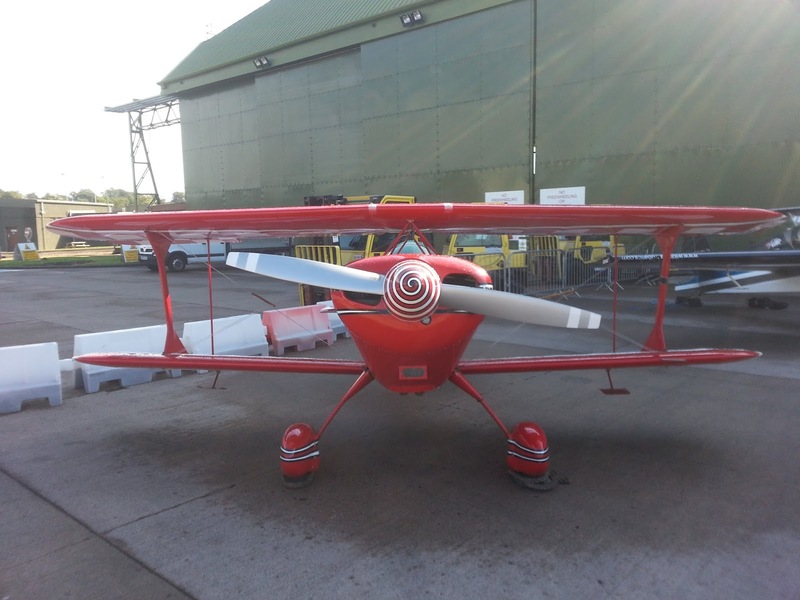 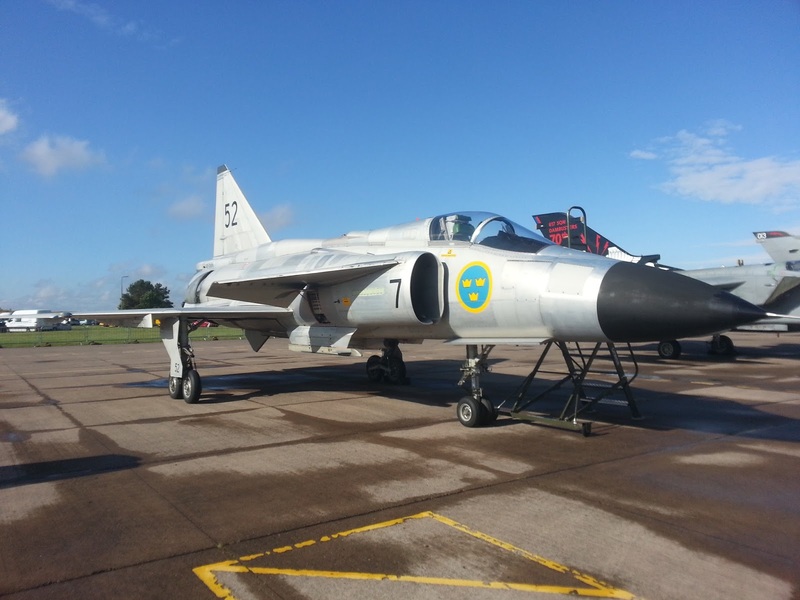 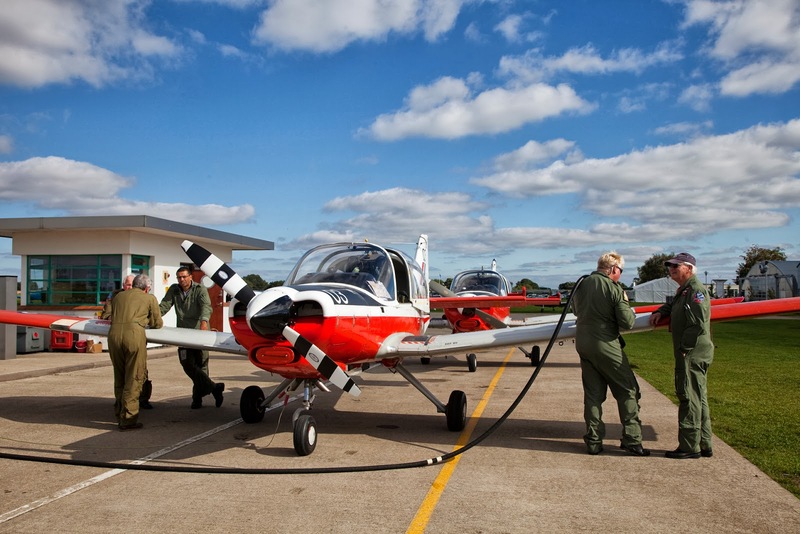 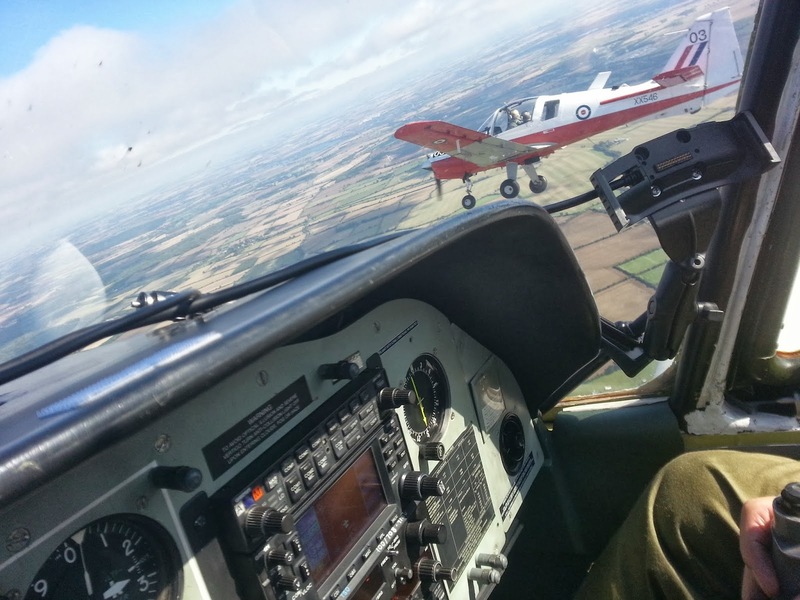 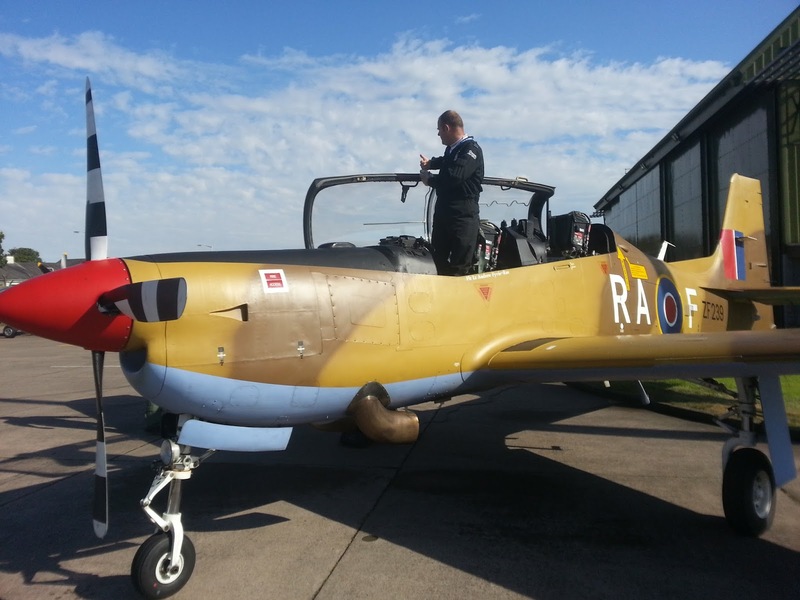 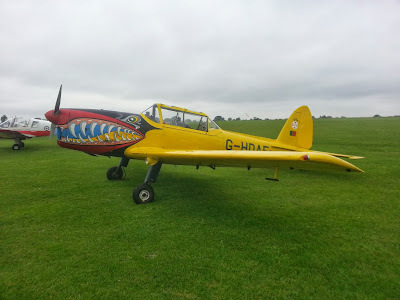 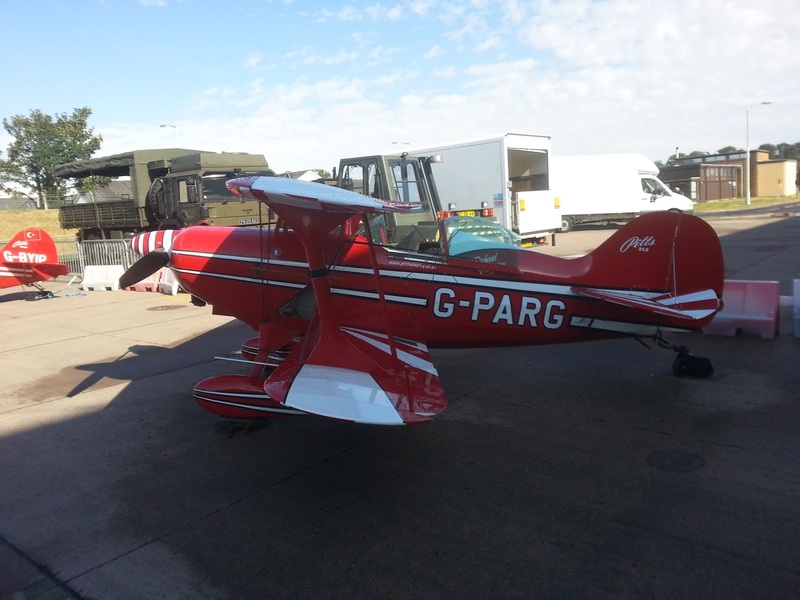 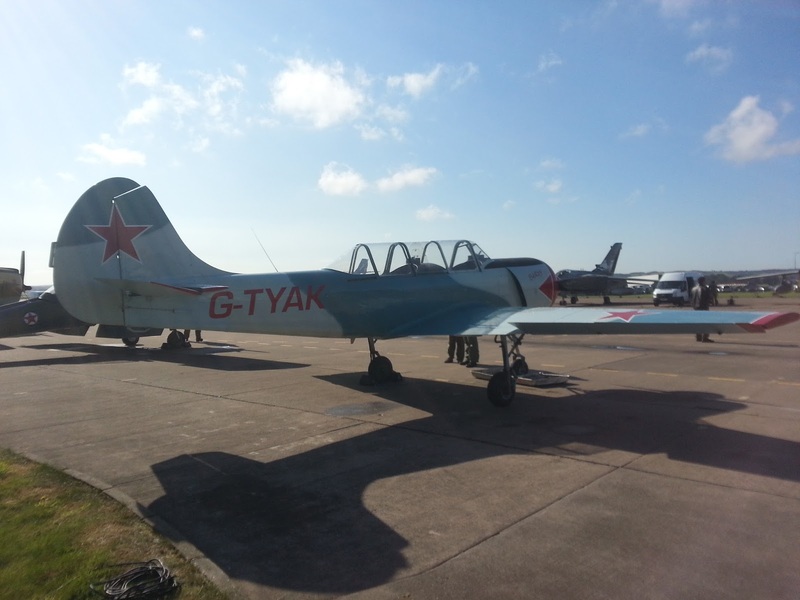 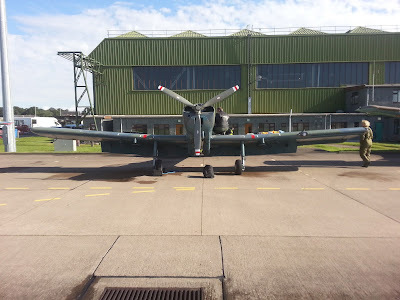 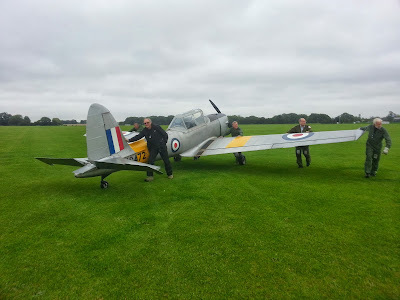 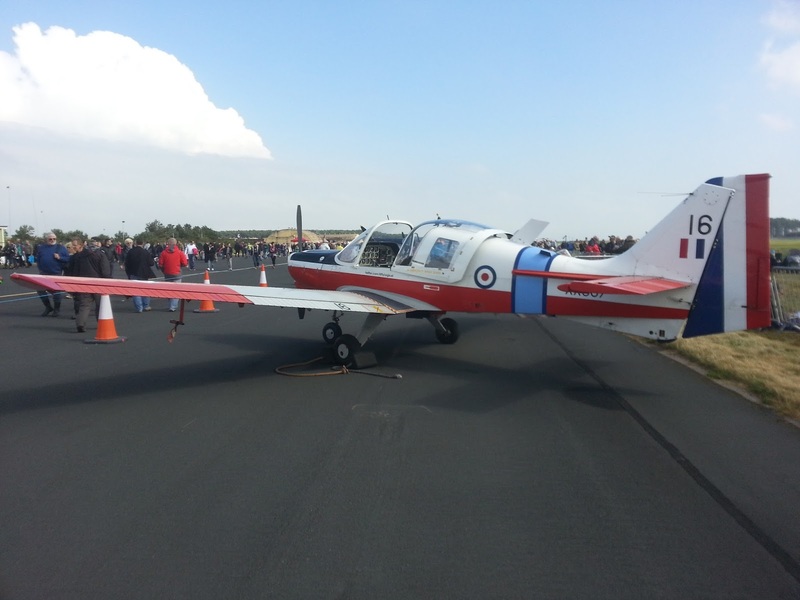 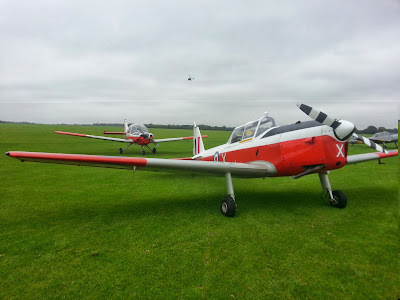 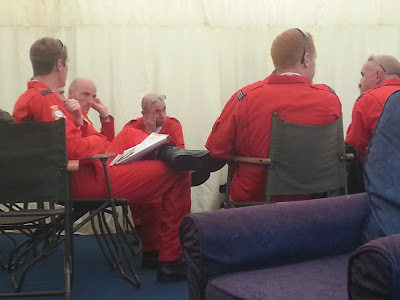 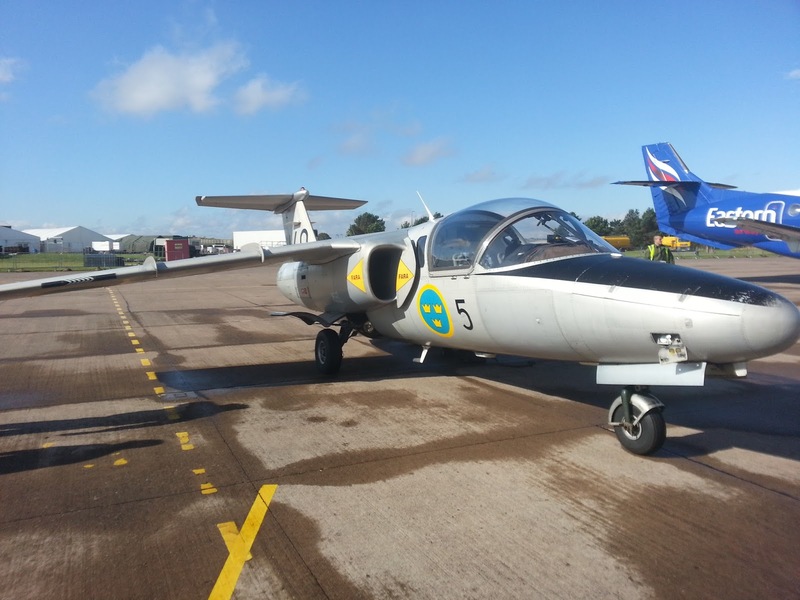 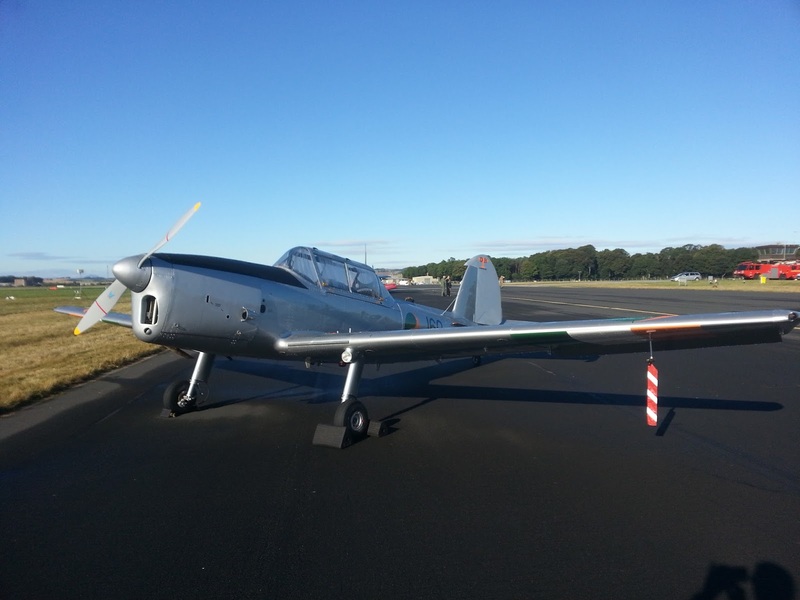 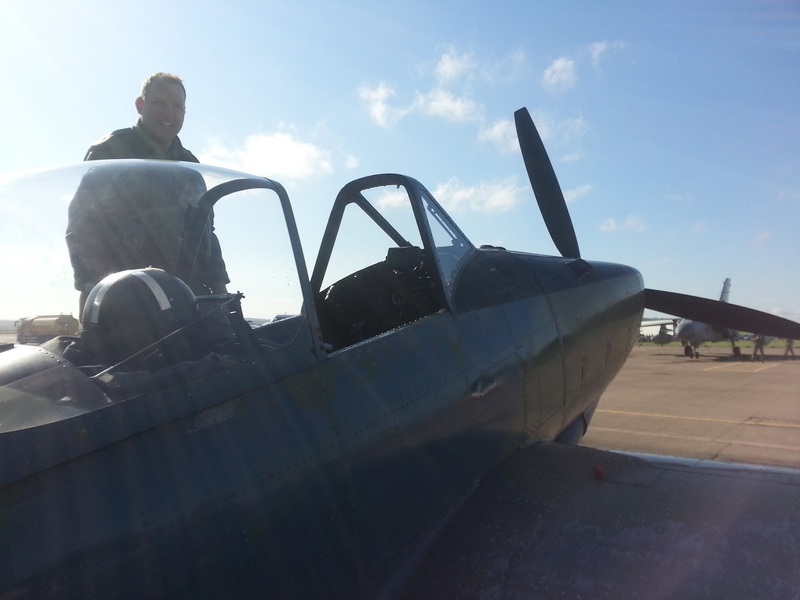 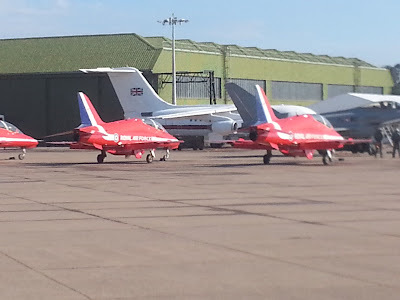 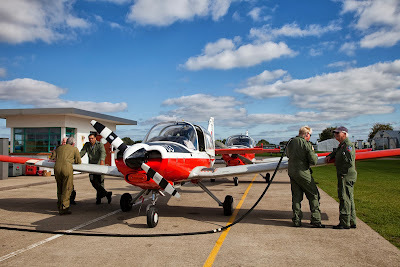 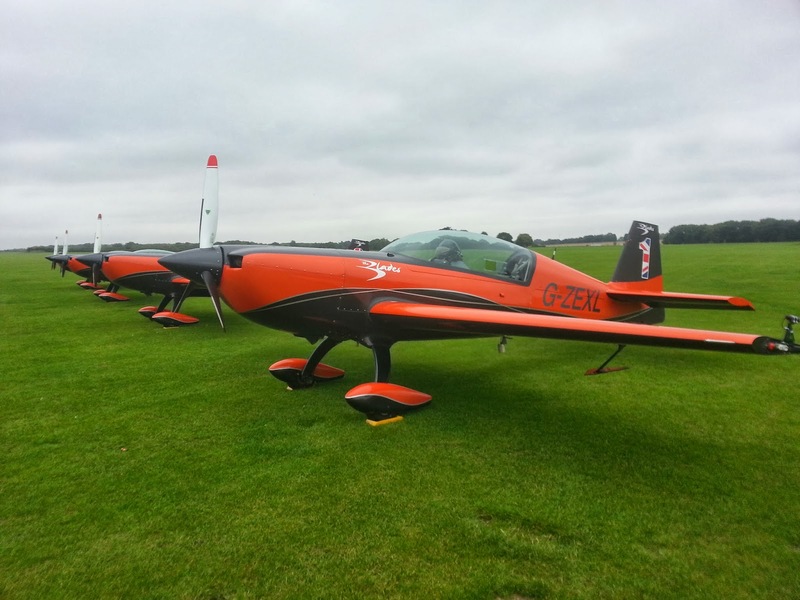 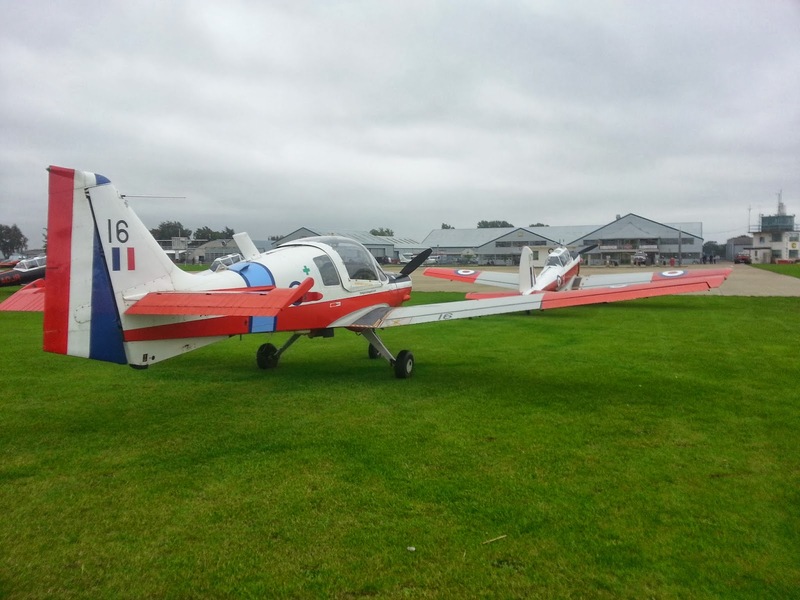 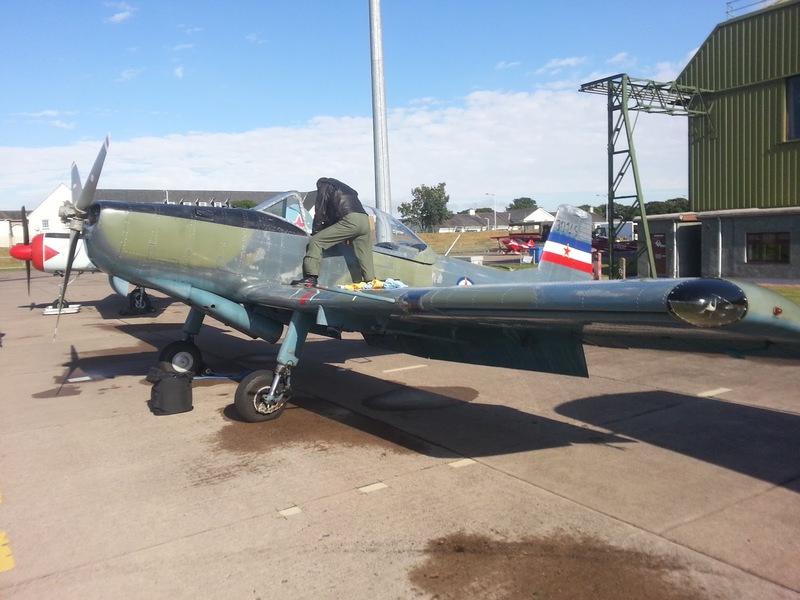 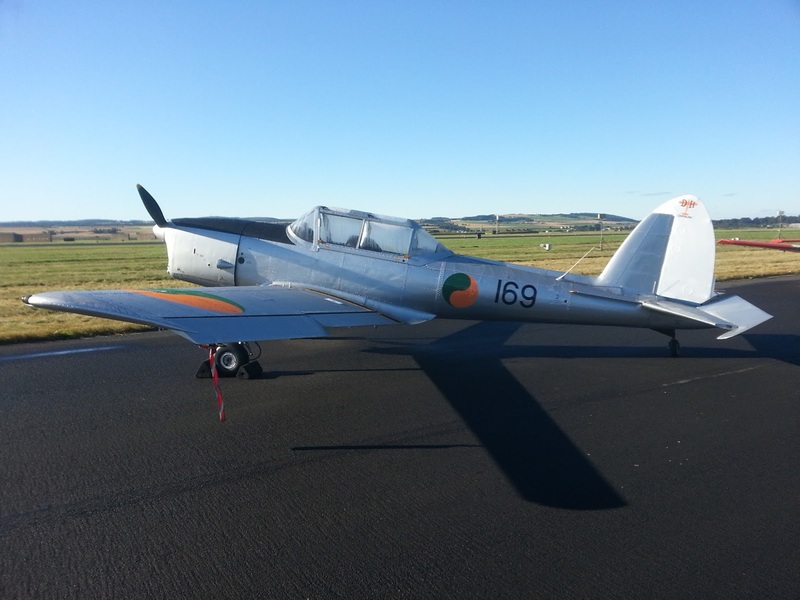 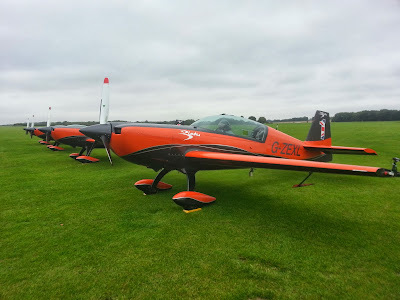 A couple of weeks after the last-ever Leuchars airshow, we took the Bulldogs to the BullChipMeet held at Sywell (EGBK) near Northampton, UK, over the weekend 22--23 September 2013. 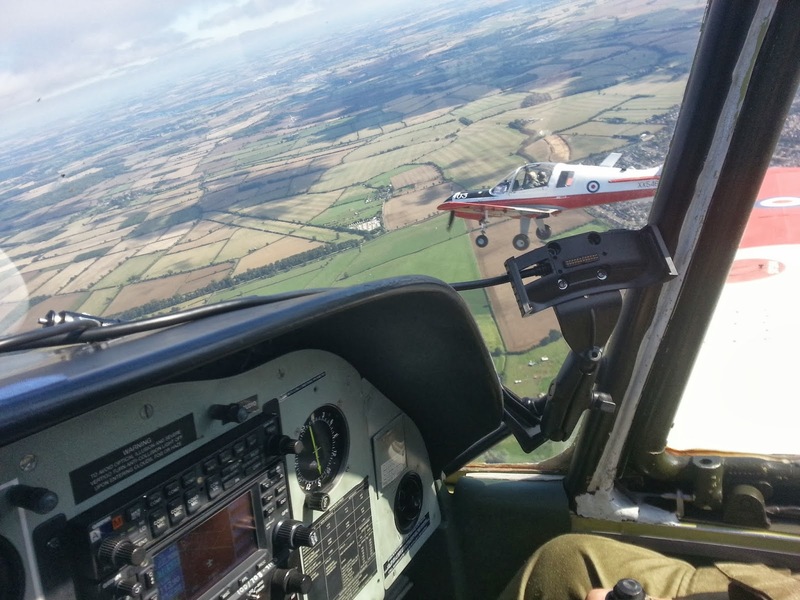 This event focuses on formation flying training. 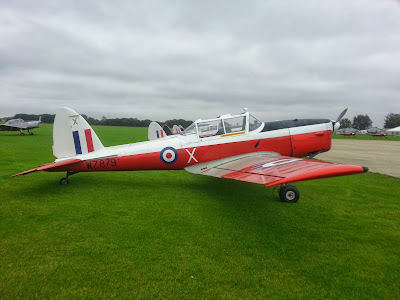 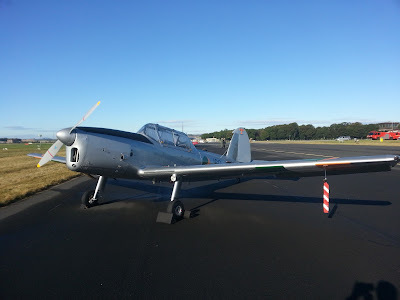 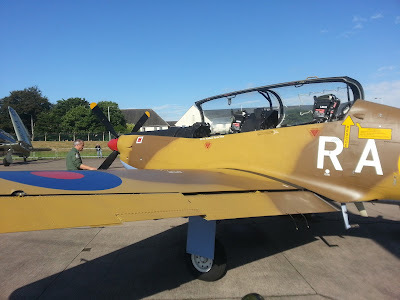 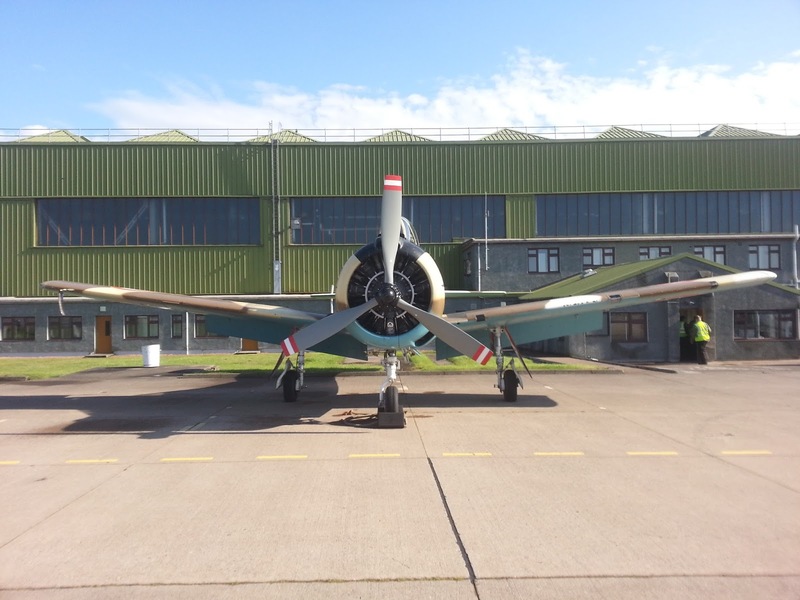 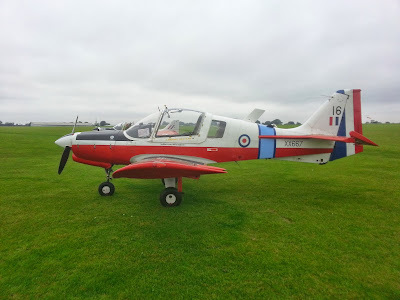 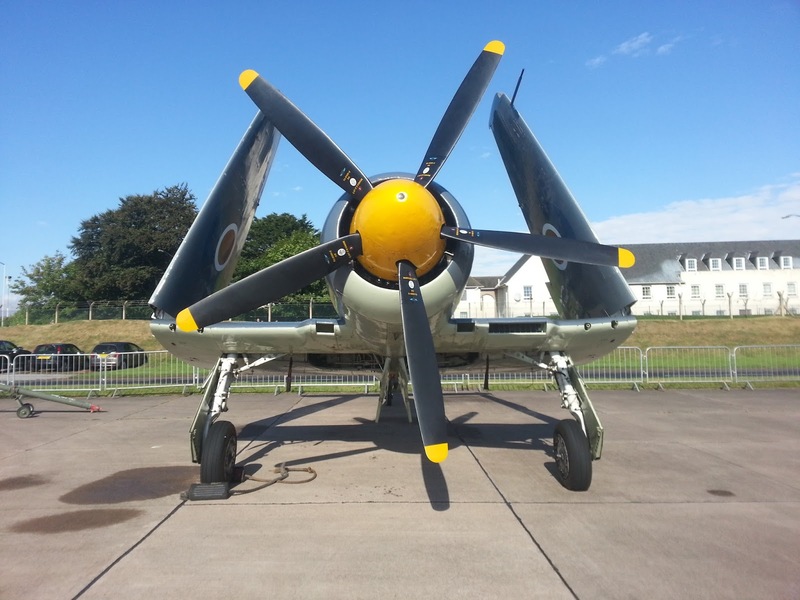 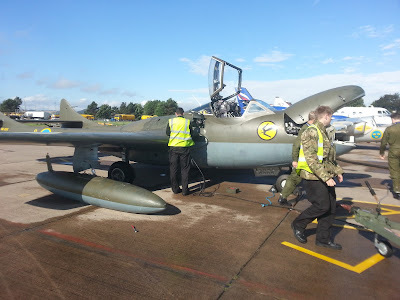 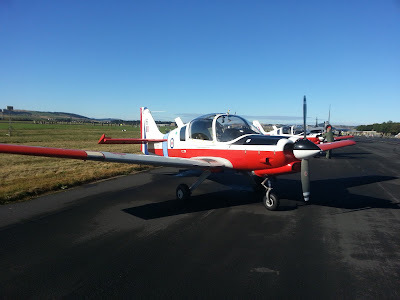 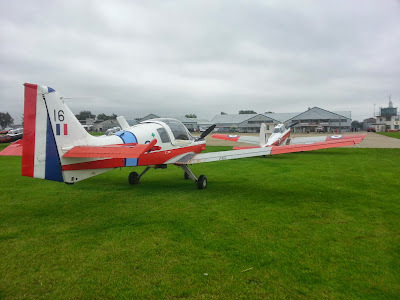 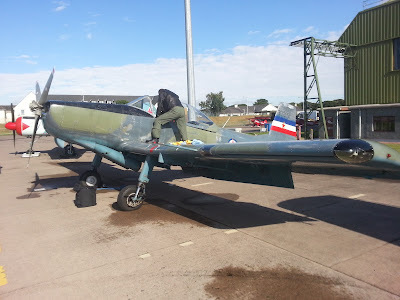 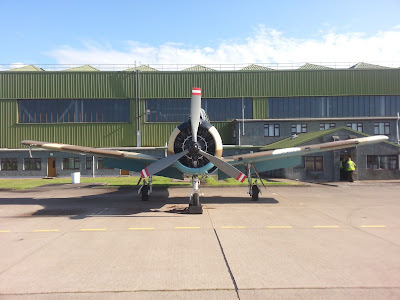 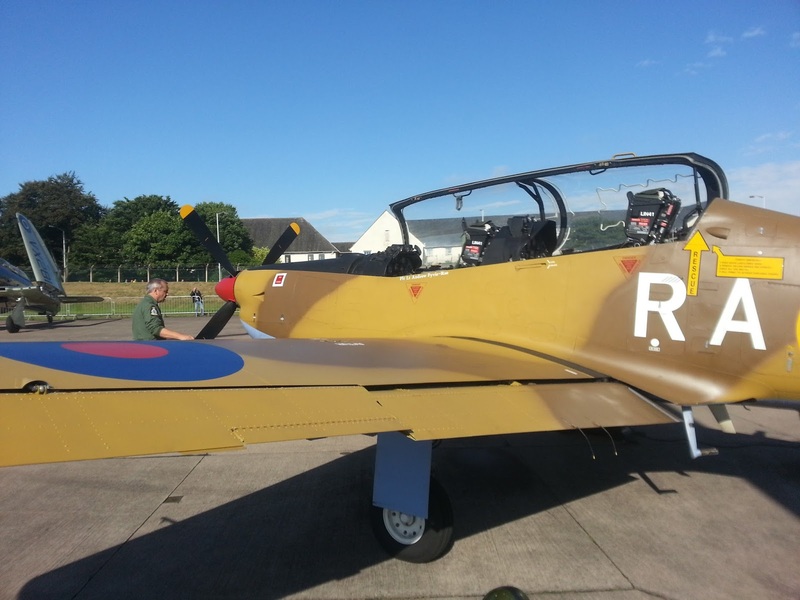 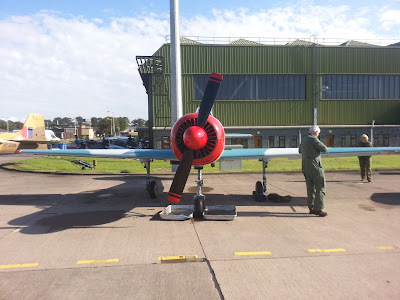 Here is my video and picture diary from the excellent two days flying, made more challenging due to the mixed aircraft types, the Chipmunk being less powerful than the Bulldog. Here's the route (generated using iNavCalc RouteView) we flew in to EGBK from EGSF where the aircraft were positioned after Leuchars. 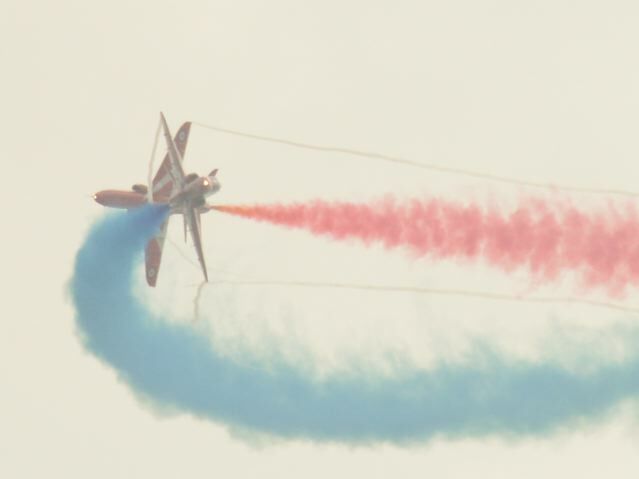 Here's the route (generated using iNavCalc RouteView) for the flypast. 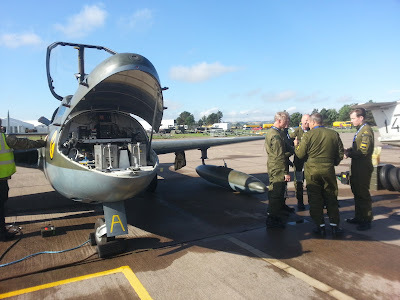 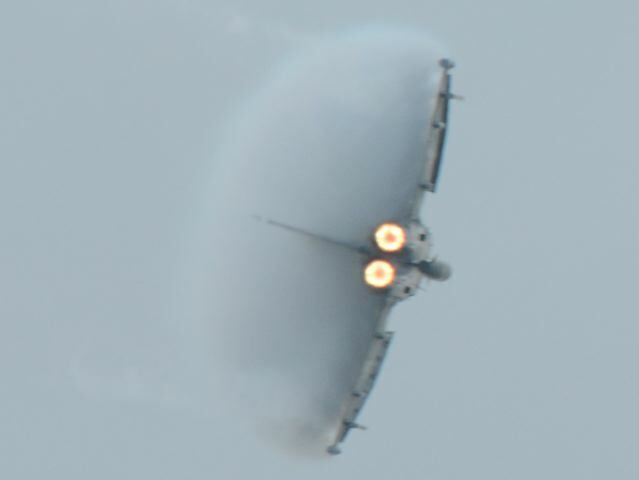 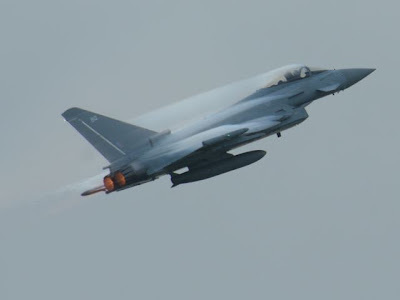 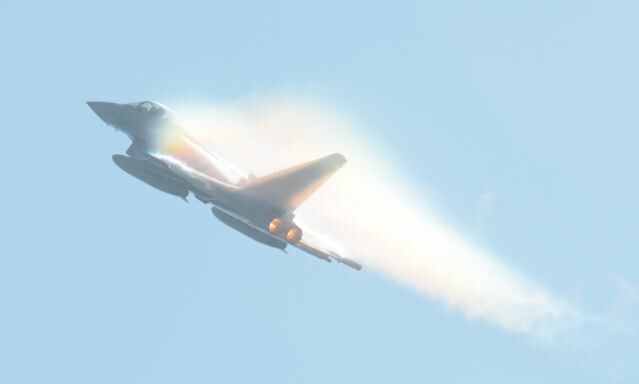 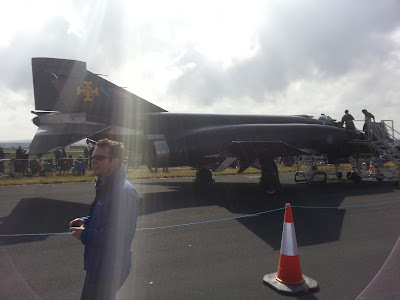 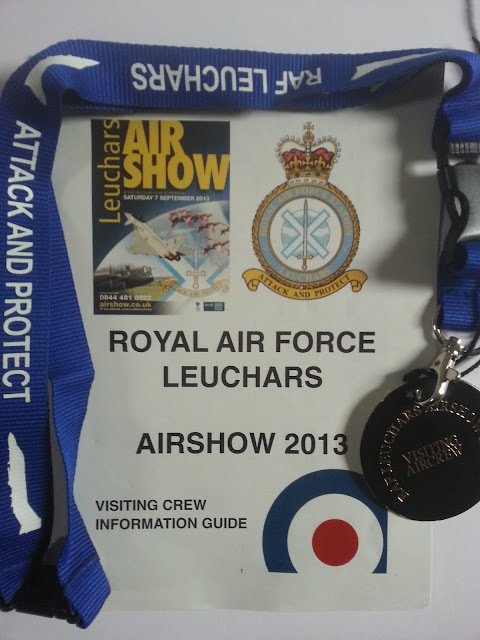 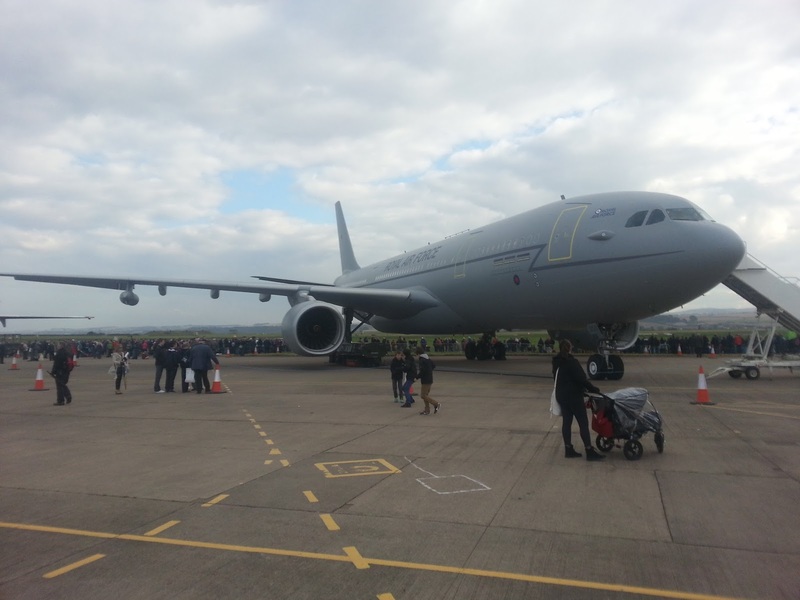 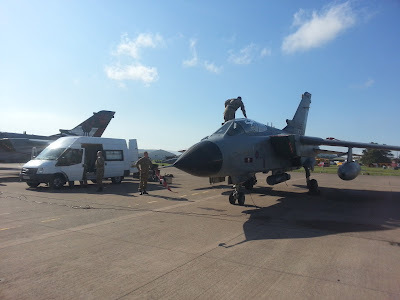 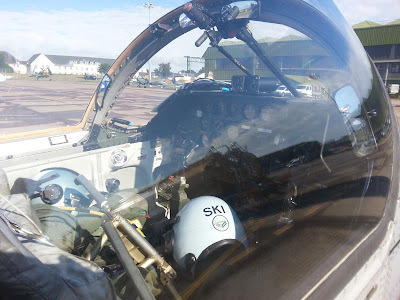 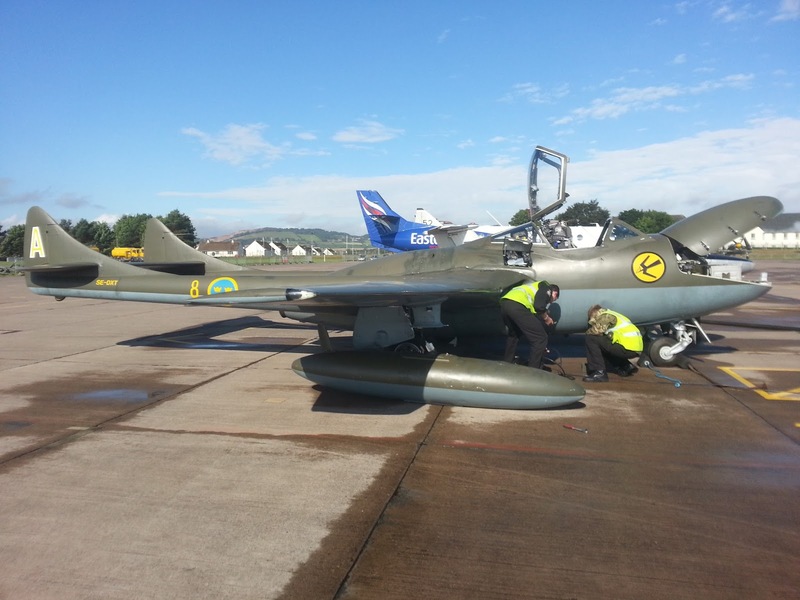 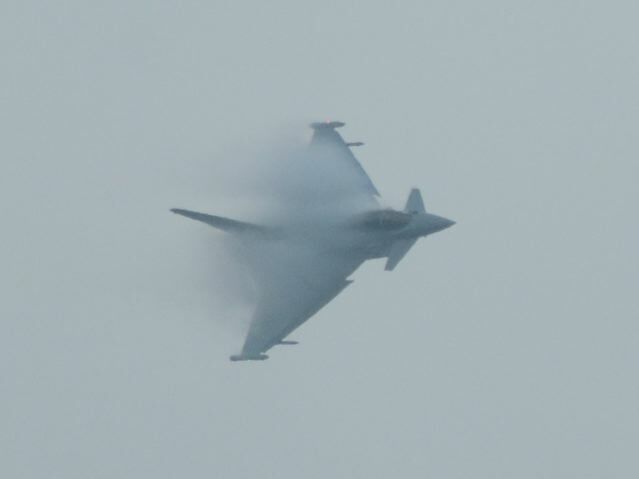 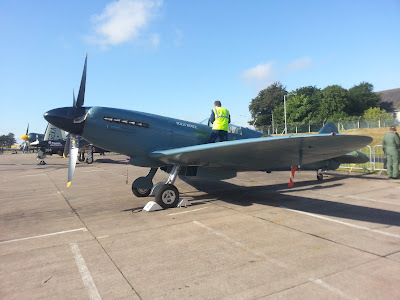 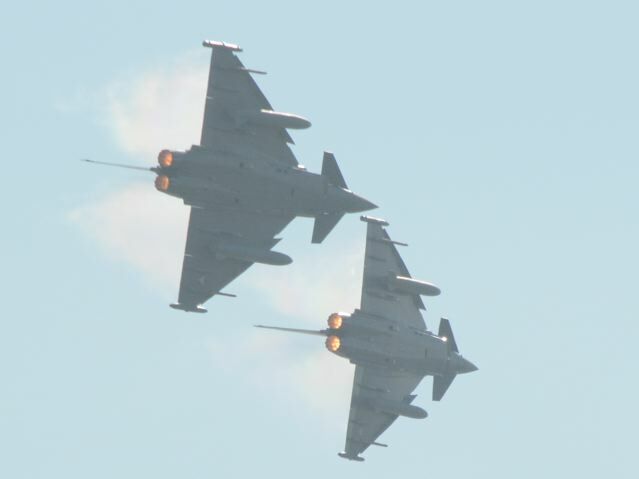 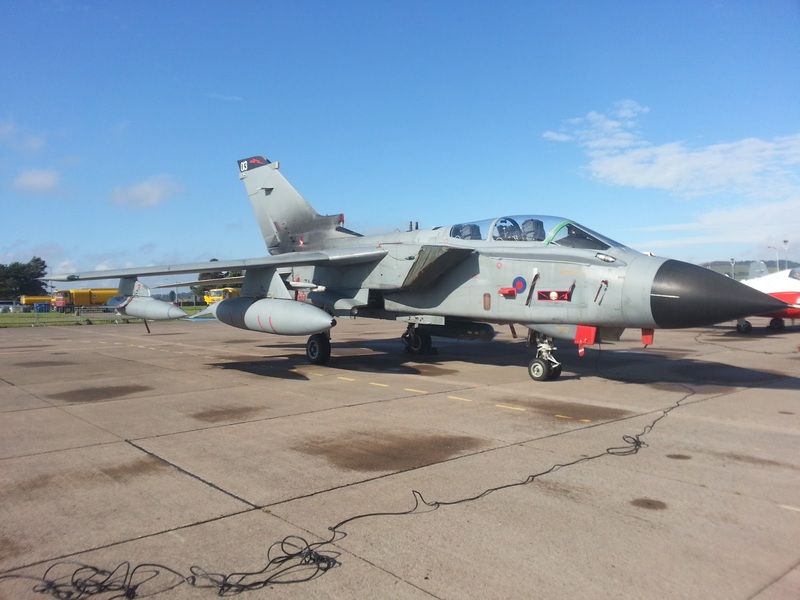 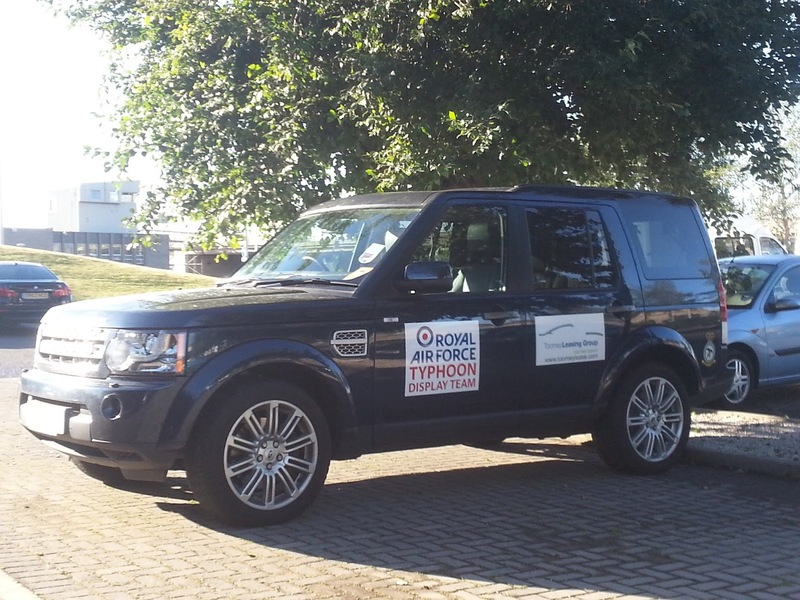 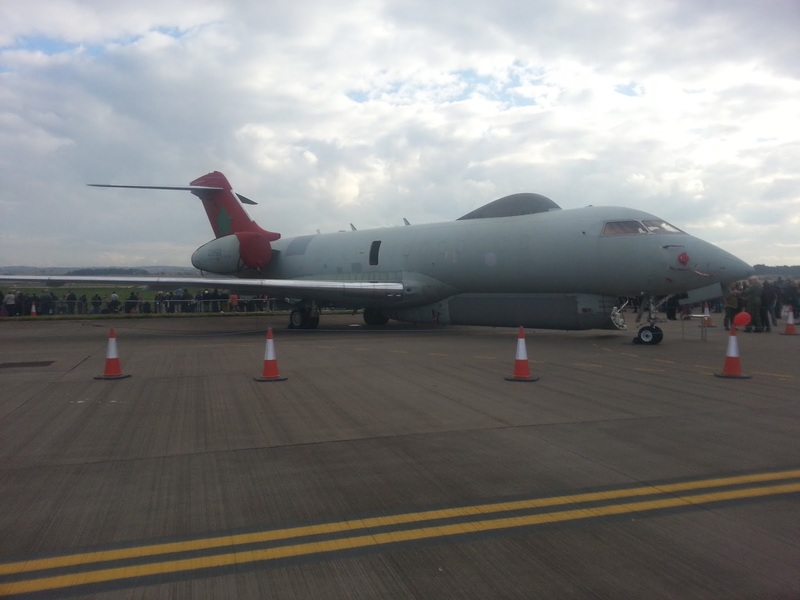 A collection of videos and pictures from RAF Leuchars Airshow 2013. 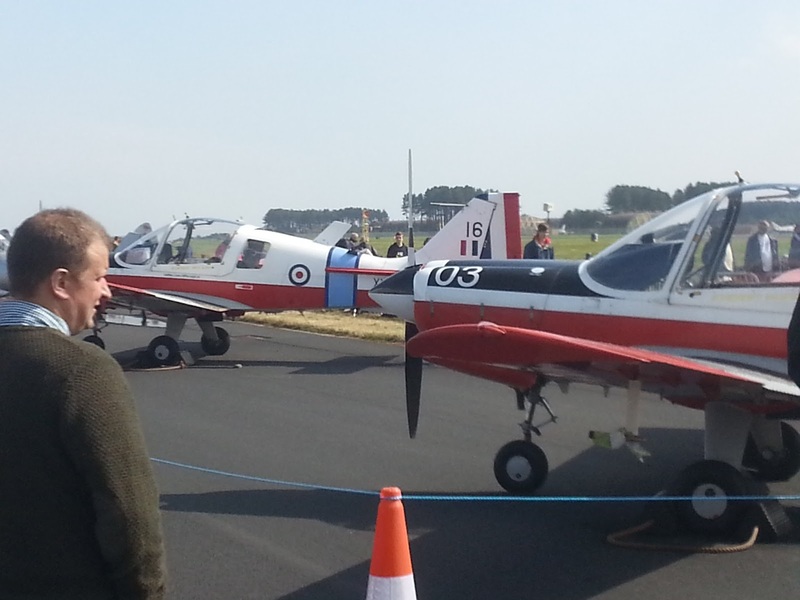 Posted in reverse-chronological order (homeward-bound, airshow day, arrival). 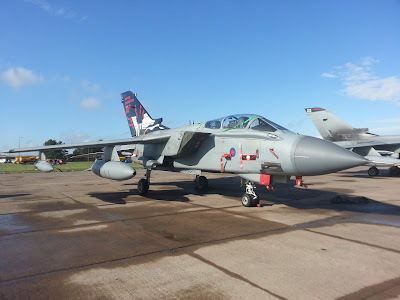 Rather sad that this was the last ever Leuchars Airshow, but delighted and privileged to have been part of this little piece of history. 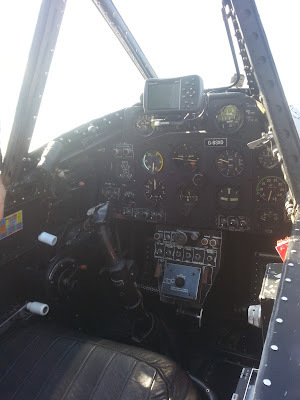 Here's the route (generated using iNavCalc RouteView) we flew home. It took 3 hours 10 minutes in a 10 knot head-wind. Longest duration flight I've ever done in my Bulldog! Some GoPro video clips taken from the cockpit of my ex-RAF Bulldog xx667 arriving at Leuchars in formation with Bulldog xx546 on Friday 6 September 2013. ...and the route we flew from Prestwick (EGPK) (generated using iNavCalc RouteView) to get here. 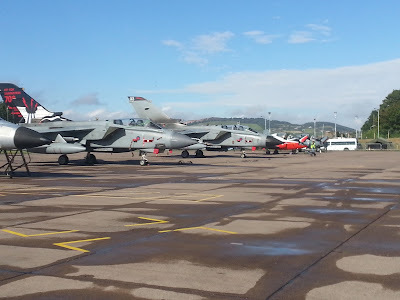 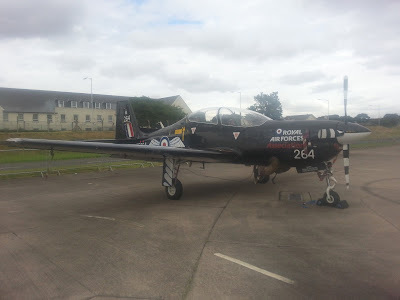 Some photos I took on the flightline at RAF Leuchars after parking-up the Bulldog. The plane-spotters will know what these are !